Your friends will lose it when they go to flip the switch! 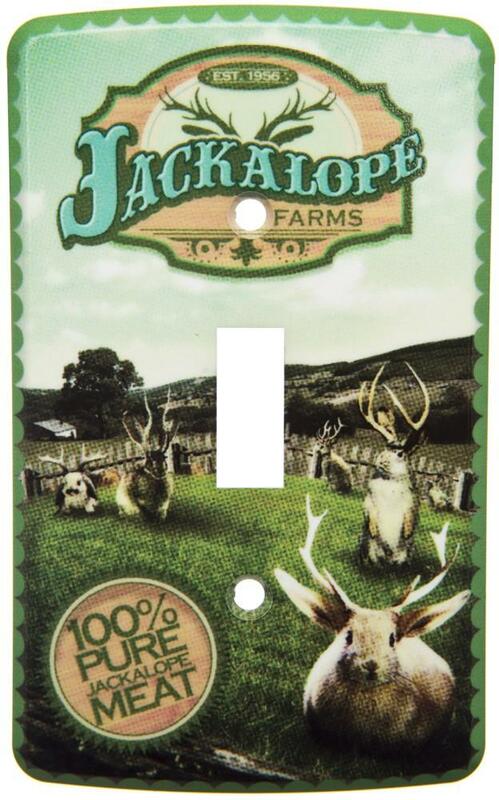 This postcard inspired switch plate features a kitschy little design of a Jackalope Farm- where they only offer 100% Pure Jackalope Meat! The colors on this will make any room just pop!